Hello! Thanks for stopping by Insect House! At Insect House we know invertebrates need our help. They’re under threat from all angles – pesticides, habitat reduction, invasive and non-native species, climate change… It’s a bug’s life! But there is something you can do to help and it’s simple, quick, effective and above all fun. Chuck in “educational”, “creative” and “good-looking”, and how can you resist? 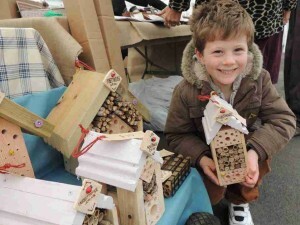 This miracle project consists of nothing more taxing than building an insect house – giving creepy-crawlies a helping hand in the form of a nice safe place to hang-out. It seemed like a nice family project – we could spend a few afternoons making sawdust together and we might even come up with something half-respectable at the end of it. We could learn about how to build things out of materials, the benefits of recycling, how to use tools and equipment safely. We might even absorb some rudiments of carpentry! 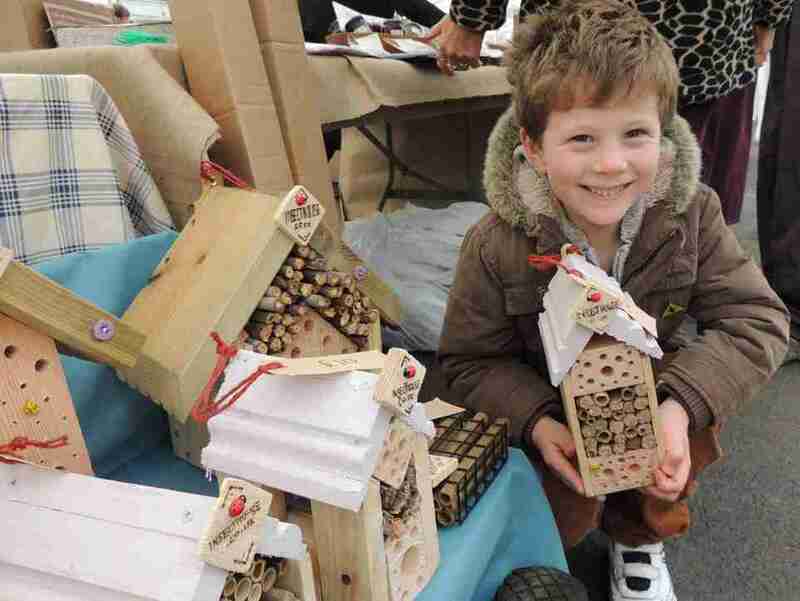 It was also a great opportunity to learn about various invertebrates and their habits and habitats, and how different insect houses might suit different species’ needs. By coincidence, about this time our 6 year old also started hinting for a tablet computer (mainly to play games on) so we wondered whether we could combine an interest in creepy-crawlies with a constructive pastime and a pocket-money project to earn that computer. After all, it’s never too early to learn the value of a bit of hard work and the virtues of earning your keep, not to mention the satisfaction of setting yourself a challenge and completing it! Oh, and please don’t think we only care about insects. We like critters of all sorts and it’s certainly not a case of “four legs good, six legs better”. We don’t mind zero legs, two legs, four legs, six legs or eight legs. Or thirty legs (stand up, lithobius forficatus – the British common centipede). Or even one hundred legs (take a bow, tachypodoiulus niger – the European black millipede). “Insecthouse” is a bit of a misnomer but we’re stuck with it now, so it’ll have to do. In any case, it’s easier to spell than arthropodhouse or invertebratehouse!